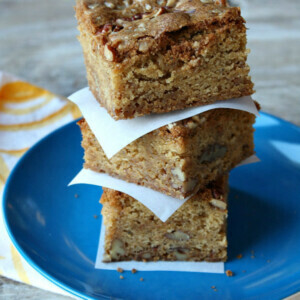 These Brown Butter Toffee Pecan Blondies are a decadent dessert treat. 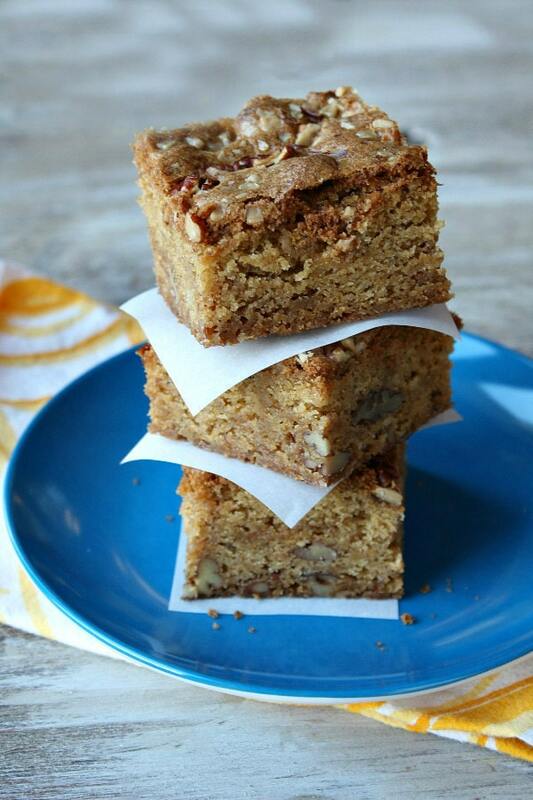 These are brown butter blondies in the best way… with added toffee bits and pecan pieces. Everything about them is perfect. They are moist and tender with a slight crunch from those added goodies. The recipe I’m sharing with you today comes directly from the Volunteer Park Cafe in the North Capital Hill neighborhood of Seattle. It’s a happenin’ place serving coffee, pastries, soups, sandwiches, and dinner too. 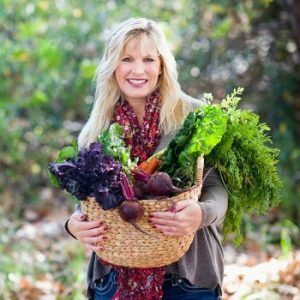 VPC is committed to using locally sourced food. 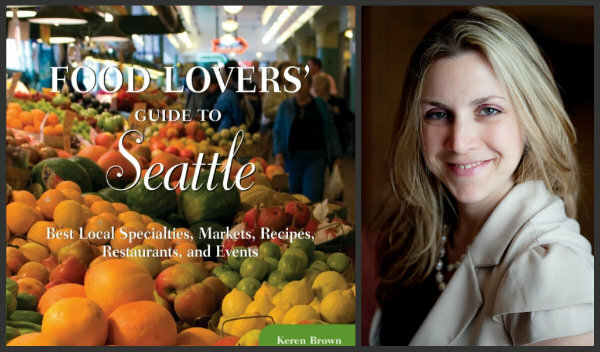 Pastry Chef Heather Earnhardt contributed her recipe for Brown Butter Bars to the recently published Food Lover’s Guide to Seattle. I’ve renamed them Brown Butter Toffee Pecan Blondies. Are you as in love with Seattle as I am? I’ve been there several times, but I feel like I need another 42 1/2 days to explore and really get the lay of the land. Though it might be a fact that it rains a fair amount in Seattle, they do get 48 sunny days on average per year, it’s truly beautiful country and a fun city… and the FOOD opportunities are endless. 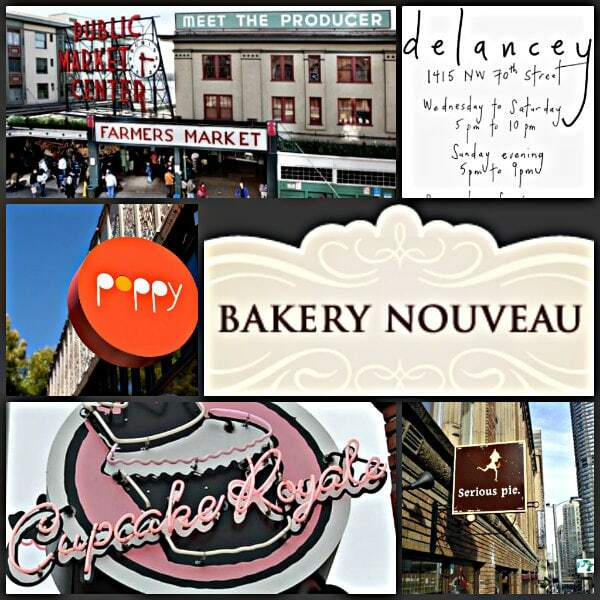 If you have plans to go to Seattle, you’ll want The Food Lover’s Guide to Seattle to keep handy. 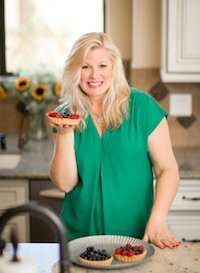 It was written by Keren Brown, who is an expert in putting together events that educate and connect Seattle’s food world. Inside The Food Lover’s Guide to Seattle, you’ll find favorite restaurants and landmark eateries, specialty food stores and markets, farmers’ markets, food festivals and culinary events, recipes from top Seattle chefs, the city’s best cafes, taverns, and wine bars, cooking classes, and complete coverage of the infamous Pike Place Market. It’s definitely a useful guide (easily fits in your purse/ camera bag/ backpack/ man purse) if you live in or near Seattle or if you ever intend to visit. 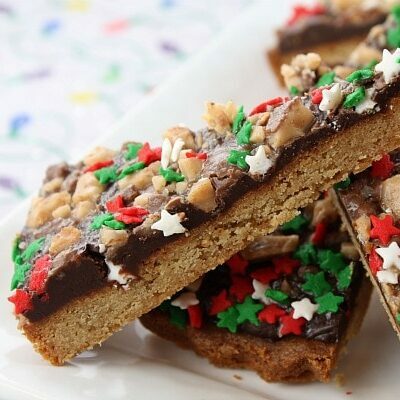 Here are a few more bar recipes you may wish to make: Seven Layer Bars (have been a favorite for years), No Bake Monster Cookie Bars (with lots of M&M’s!) and Salted Caramel Butter Bars (drool). Brown Butter Blondies with added toffee bits and pecan pieces. Preheat the oven to 325 degrees F. Spray a 9x9-inch baking pan with nonstick spray. Line the pan with a strip of parchment paper so that it covers the bottom and comes up two sides of the pan. Spray the parchment paper with nonstick spray. In a saucepan over medium heat, melt the butter and continue to simmer until it turns a deep golden brown (3 to 4 minutes- watch it closely and keep stirring every so often so it does not burn); remove from heat and let it cool to room temperature. In a large bowl, use an electric mixer to combine the eggs and sugar. Beat on medium-high speed until light and fluffy, about 3 minutes. 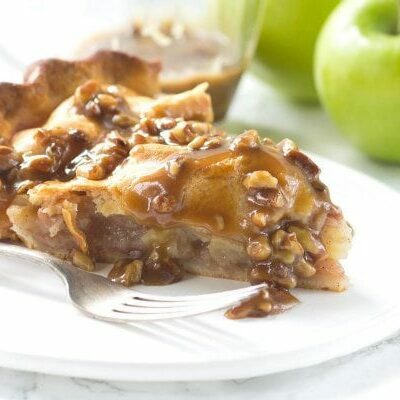 Mix in the vanilla and browned butter, scraping the sides of the bowl to incorporate all of the ingredients, as needed. 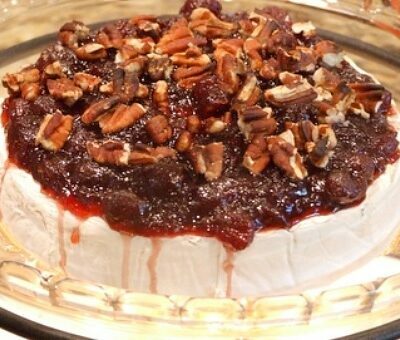 Add the dry ingredients, pecans and toffee. Mix just until combined. Scrape the batter into the prepared pan. Bake 45 to 55 minutes, or until a toothpick inserted into the center comes out clean (don't over bake- start checking on it at 45 minutes... it should feel pretty firm in the center). 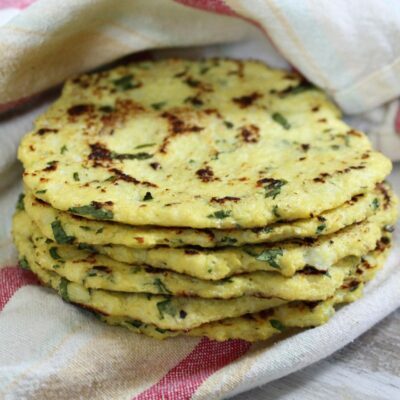 And it may take up to 60 minutes to get these baked to the right consistency, depending on your oven and the pan you use. Let the bars cool to room temperature before cutting. Disclosure: Amazon affiliate links are included within this post. A review copy of this book was given to me. This recipe was adapted slightly and re-printed with permission from the Food Lover’s Guide to Seattle. 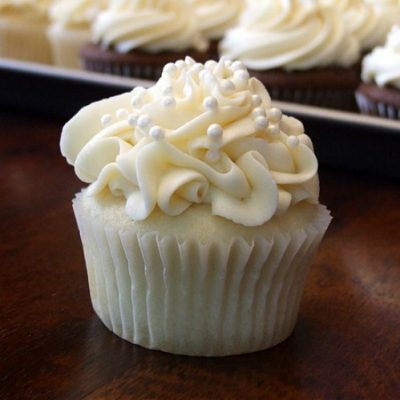 The original recipe comes from Pastry Chef Heather Earnhardt of Volunteer Park Cafe. 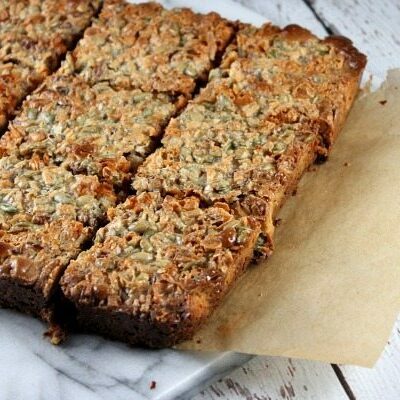 I’ve never made it to Seattle but I’m dying to try these blondies, the browned butter has me mesmerized! We work overseas but Seattle is our homebase. We literally countdown the days, running tally on the refrigerator, until we can get on the plane to go home! It was a wonderful place to grow up and even more wonderful to return to every summer. I’ll have to buy a copy of the book and compare my favorite places to the authors:) And how could I forget to mention that both the cafe and the blondies are GREAT. I baked them for 60 min. and rechecked the pan size which was more like 8 1/2 x 8 1/2. After cooling and cutting, the center was perfectly moist and the edges were chewy (I’ll be saving that part for me =)). They are so yummy! BTW, I love your website!! Good to know… I’ll add to the instructions that it could take as long as 60 minutes, depending on your oven!